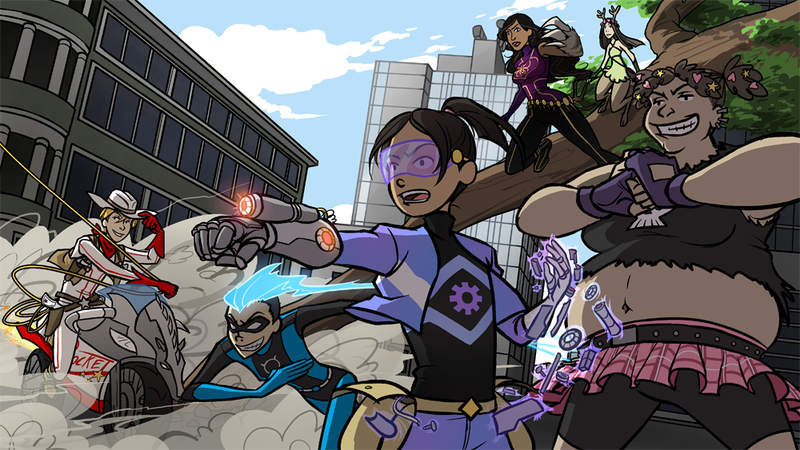 Little Girls Are Better at Designing Superheroes Than You, a long title for an amazing Tumblr, creator Alex Law and writer Ted Anderson have a pitch for a new comic and have shared the 15 page standalone for readers to get an idea of what it is like. And it looks great! As Spark, the world's youngest superhero, she's a junior member of a superhero team while also trying to live a normal life. Can Lucia juggle her friends and family while also saving the world from supervillains? Go read the rest on their Tumblr! Updated: And if you want to follow the progress of their comic and learn more go check out the comic's tumblr.